One of the reasons I chose an Apple iPhone before was because of the multitude of cases available for it. I’ve bought way too many cases already, most of them with prints. I chanced upon The Diff when it popped out on my Facebook feed. 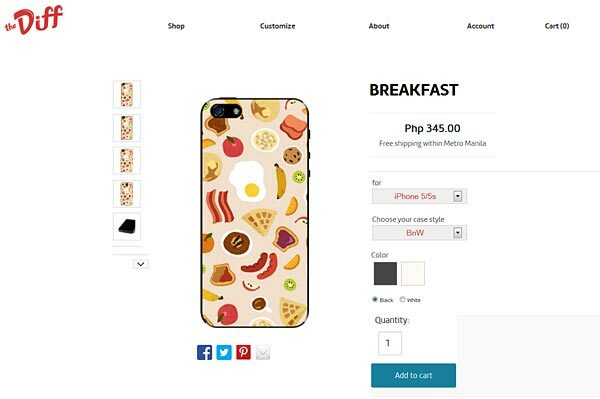 I check out the site and found both the designs and price appealing. Here’s what I ordered and how I think of them. The first thing you do is to choose a design, they have a lot of existing ones divided in different categories like Jetsetter, Sunkissed, Yummy, State of Mind and AniForce. Lauren is eyeing an iPad Mini case from the AniForce collection (lots of Pokemon characters) but can’t seem to make up her mind. Even before going to customization, I had already seen a number of designs I wanted. 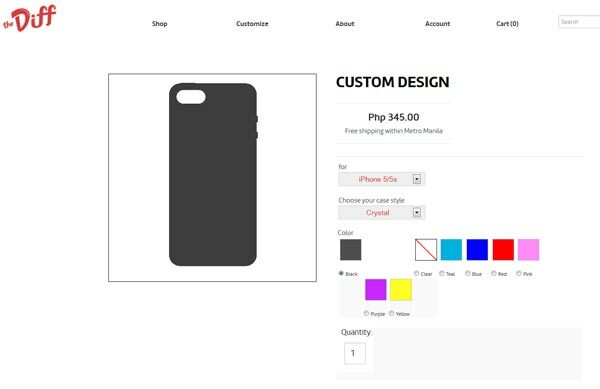 After choosing the design, you can then choose for which gadget the casing is for then the case style (Bnw, Crystal, Frost and Prep) and the decide on the color. 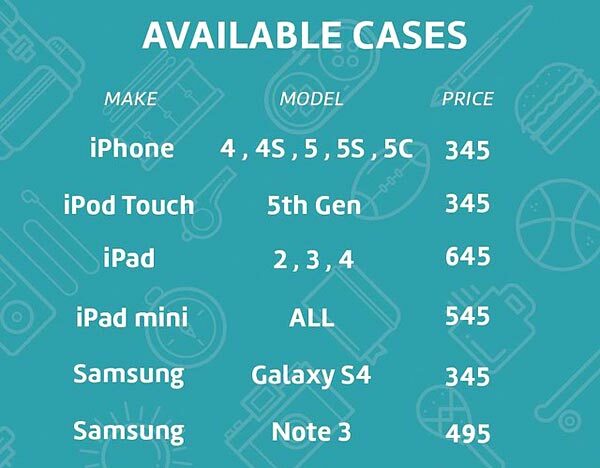 Here’s their whole gadget menu, they started making cases for phones only but have now added iPad and iPad mini cases also. Take note that the prices already include shipping within Metro Manila, for those outside an extra P50 is added to the cost. 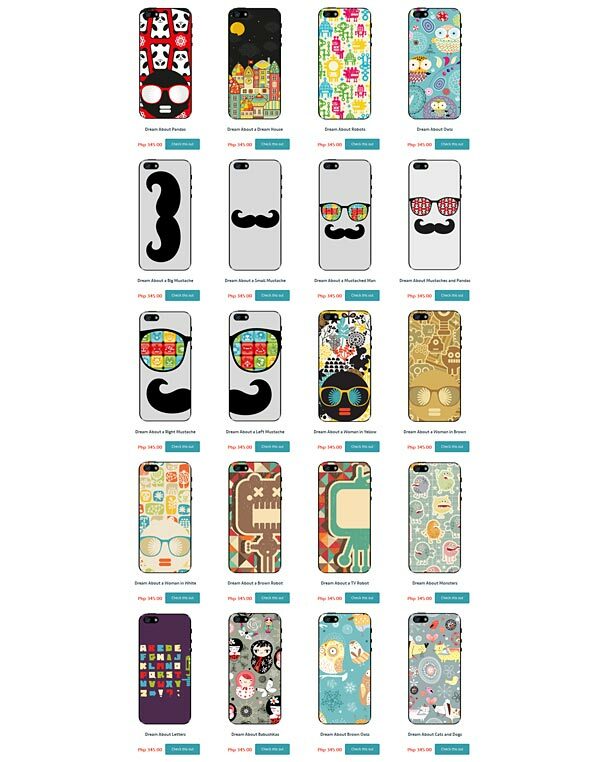 Even though they have a lot of designs to choose from, the list becomes limitless once you select a custom design case. 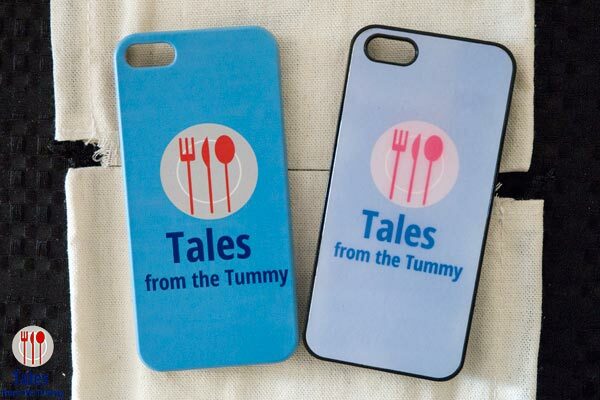 You can add any upload picture, scenery, logo or even collages and have The Diff print it on your casing. 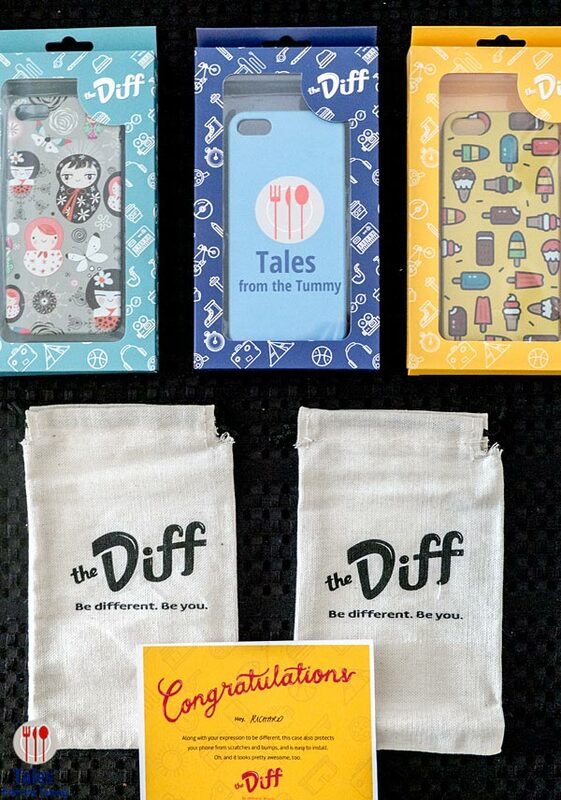 This is where you can adopt The Diff’s tagline of “be different, be you”. After a couple of days, my order arrived in my house via courier. 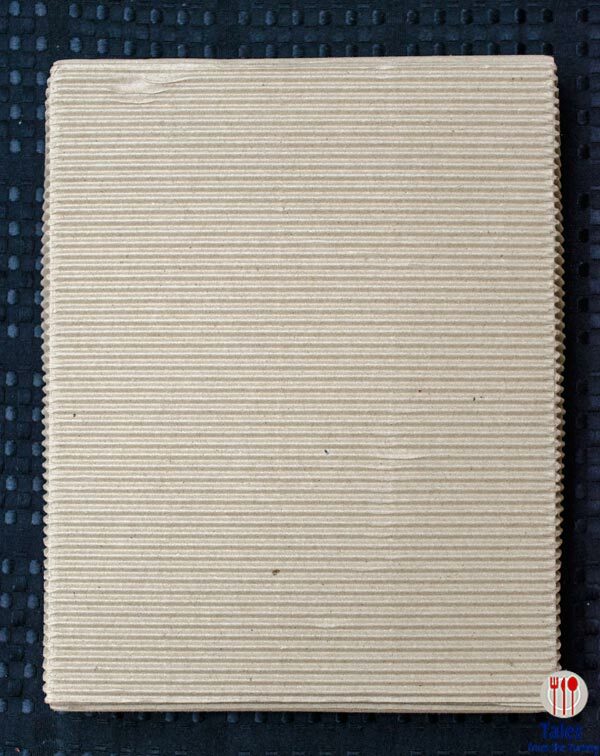 I quickly opened the package and found this corrugated box inside. Here is what was inside the box. 2 The Diff canvas pouches, a letter with my name on it plus the 3 cases I ordered, individually packed. 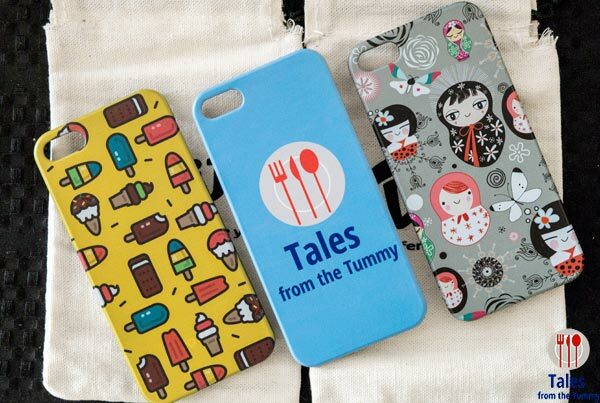 I got 1 Summer Sweets casing from the SunKissed collection (I’ve been looking for an ice cream casing for a while already), 1 customized casing with Tales from The Tummy logo plus 1 Dreaming about Babushkas casing for Irene. They all had very nice printing and it even has a semi embossed feeling when you run your fingers through the design. Here’s a comparison between the case I got before and the one I got from The Diff. Just from the picture, you can see how inferior the one on the right is and it even cost me more than P500 to make that. I’ve been using my customized casing for more than 2 weeks already and everything still looks great. The design is still bright and clear with no blurring or bleeding. The Diff has passed my test and I am 100% positive I’ll be getting more.